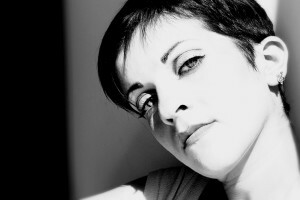 Sara Di Bella (Italy, 1986) started her musical studies at a young age with the piano, reaching the 5th year grade diploma at the conservatory “A.Scontrino” of Trapani. She then started her vocal studies, resulting in a a Bachelor Degree in Opera at “A.Scontrino” Trapani Conservatory, collaborating with the Clementi Award Winner Antonio Piricone as assistant supervisor, passing grade of 110/110. She has a Bachelor Degree in Musicology at Palermo University passing grade of 110/110 and honours. In November she received a Master Degree in Musical Performance at the Royal Irish Academy of Music (Trinity College – Dublin) with Sylvia O’ Regan. As a chorister, she performed in many concerts: Orff’s Carmina Burana, Ramirez’s Misa Criolla, Missa Luba with the griot singer Badara Seck, Mendelssohn’s Motets op.39, Rossini’s Petite Messe Solennelle and Stabat Mater (recorded with Simone Alaimo as one of the soloists), Mozart’s Requiem, Beethoven’s Ninth Symphony, Borodin’s Polovetsian Dances, Theodorakis’ Zorba the Greek. In 2012 she was in tour with the JSBEnsemble of the International Bachakademie (Stuttgart) singing J. S. Bach’s B minor Mass under Helmut Rilling. She’s an active member of the Irish vocal group Anúna since 2012 and has toured Canada, Holland, Belgium, Canary Islands and Japan with them. In Japan in 2014 she performed – in Japanese – the main theme of the Miyazaki movie Princess Mononoke. In May 2014 she performed Blackford’s Mirror of Perfection with Bray Choral Society, Bach’s Magnificat and Handel’s Utrecht Te Deum with Wicklow Choral Society. In May 2015 she was involved in the project “Responses to Pierrot Lunaire” featuring pieces from Schönberg’s Pierrot Lunaire and new pieces written by composition students of the RIAM: all was performed with the ALLUNA Ensemble. In September 2015 she was part of the project “Electrica Carmina Medievalia” with Gianluca Lastraioli performing medieval pieces with rock intstruments (two electric guitars, bass guitar, keyboard and drums).